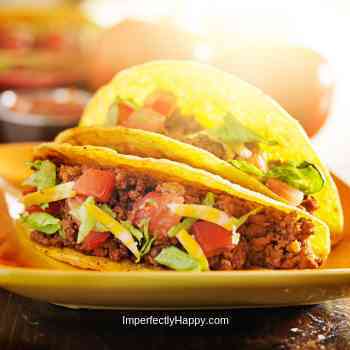 Homemade taco seasoning is easy to make and all natural, unlike the store-bought envelopes. Why buy a packet of stuff that you can’t pronounce or fillers you don’t need, when you can make your own homemade taco seasoning? Our family LOVES tacos, tostadas, fajitas…well you get the idea. I used to buy pre-made mixes but this stuff, if I do say so myself, is way better! Check your ingredients the next time you think about buying the pre-made mixes, you’ll be surprised what’s actually in there. This will take a a few minutes to throw together and you’ll have several meal’s worth ready to go. FYI – I don’t just use this for taco meat…but more about that later. I like to make it in bulk and store my homemade taco seasoning in a mason jar. Do you know that you can even get tops for shaking spices out that will fit your mason jars I love them! Get your Ball Herb Shakers here. These shaker tops all me to make several of my mixes, like this taco seasoning, in quantity and store in my pantry. Be sure to see my recipes for Yummy Spice Rubs too! 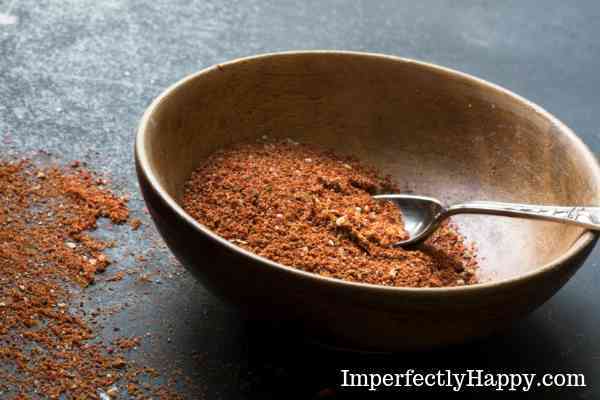 I hope you enjoy this DIY Taco Seasoning as much as we do…time for a taco Tuesday, right? I like to put all the ingredients in a 1/2 pint mason jar, with a lid. Then I just give the jar a few good shakes when I’m ready to use it. 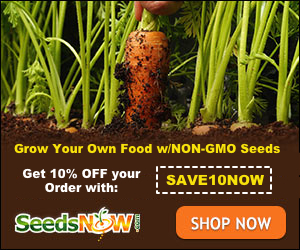 You could certainly mix it up in a separate bowl and then store it in any airtight container. To use your homemade taco seasoning you have a couple of options. I use it one of two ways, depending on my mood. If you just want to season your meat then sprinkle on to your taste. To make more of a sauce for your taco meat then you’ll want to full brown and drain your meat then add 2 tablespoons of the mixture per 1 lbs of meat and a 1/2 cup of water. Allow the meat and sauce to simmer until the water is fully absorbed. This recipe makes enough to season about 6 lbs of meat. I’ve used this on a variety of ground meats and it worked equally well on all of them. I also have used this in my chili, meat loaf and occasionally to spice up a burger. It is very versatile. Thanks for this! My daughter was recently diagnosed w/Celiac disease…I usually cook from scratch and love more authentic Mexican but life has been so crazy I got tempted to go to my childhood easy foods of instant seasoning…..NOT POSSIBLE with Celiac. Loving this recipe! Thank you!